Poised for Picasso - Seattle Professional art hanging, art moving and art consultant. Part two of the Catalan connection – Picasso: the ceramics – opens at the Tacoma Art Museum in exactly one week. Just one year after its blockbuster “Catalan Masters” exhibition, which drew a record 68,000 visitors to 1123 Pacific Ave., the museum has organized another coup. “Picasso: Ceramics From the Marina Picasso Collection” opens Sept. 27 in its only appearance on U.S. soil. 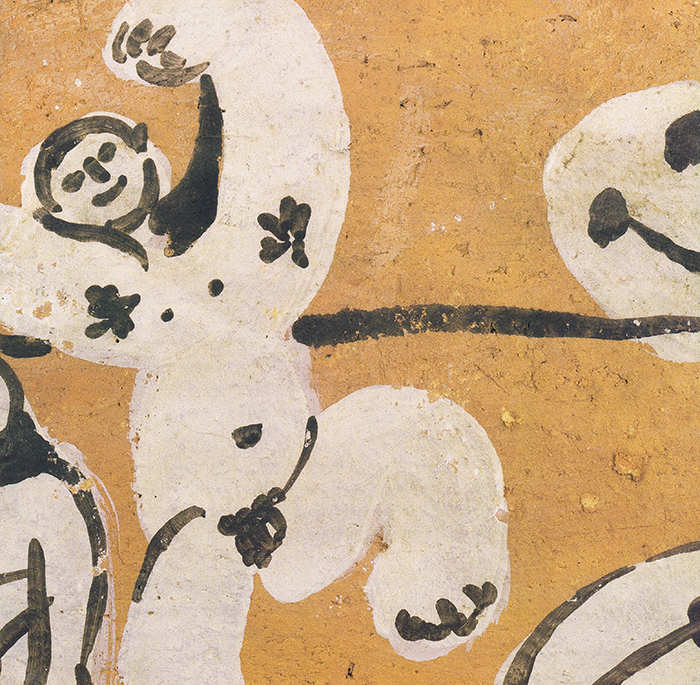 The show features 61 ceramic pieces from Picasso’s personal collection. The artwork now belongs to Marina Picasso, the artist’s granddaughter who, among all of Picasso’s heirs, is said to have inherited the best of the lot. How the art museum inherited the show is a phenomenon as rare as the artwork. Nearly all museums, including the Tacoma Art Museum, work years in advance to fill their exhibition schedules. Not so the Picasso show, which came together in the past six months. The Catalan connection that resulted in the show traces through museum chief curator Barbara Johns, museum trustee Isabel Esteban and her husband, Luis, honorary vice counsel of Spain. All were instrumental in bringing the “Catalan Masters” show to Tacoma last year. On the strength of “Catalan,” Johns was invited last November to Madrid for a retrospective exhibition of Northwest painter Mark Tobey. The show was curated by Kosme de Baranano, whose father knew Tobey. In the course of conversation, Baranano told Johns about an exhibition of Picasso’s ceramics that he had curated for the Fundacion Bancaja in Valencia. Johns asked the improbable: Would Baranano consider sending the show to Tacoma? Johns’ biggest victory was getting 14 weeks for the show. The Estebans also scored, securing several of Picasso’s prints and drawings to supplement the ceramics collection. Originally, the ceramics were to be exhibited at two museums in Spain and then returned to Geneva, where they are housed. Once it did, Rynd reinforced it, insisting that Tacoma be the only U.S. stop for the show. 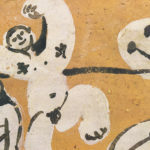 To make way for Picasso, an artist once described by French poet Buillaume Apollinaire s “a newborn child who orders the universe for his personal use,” Rynd did more than reshuffle the museum’s exhibition schedule. Anticipating a bigger crowd than the masses that turned out for “Catalan,” he and his staff “realigned” the entire first floor of the Museum. Ceramic sculptures, vessels and tiles make up the bulk of the Picasso show. But Johns has also organized a supplementary exhibit called “Picasso’s Studio,” which comprises the prints and drawings. Included in this “studio” are several preparatory drawings for “Guernica” (1937), Picasso’s dirge to the bombing of the Basque capital by the Germans. Johns secured them through the Estebans from the Museo Nacional Centro de Arte Reina Sofia in Madrid, Spain’s national museum of 20th-century art. The prints begin with a well-known series of etchings, the “Vollard Suite,” from the 1930s. The selection includes works made as late as the ‘ 70s. Picasso died in 1973. The themes are signature Picasso: the Minotaur, the female figure, the artist and model, the Mediterranean landscape in sense and symbol. 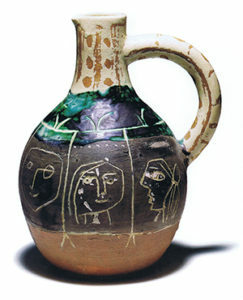 Many of Picasso’s ceramic pieces were produced in editions of hundreds. The Tacoma Art Museum collection, however, comprises only one-of-a-kind objects made by the artist. “Picasso’s ceramic work brings together the essential primitive, ancestral aspects of creative activity, and enriches them with the patina of history…,” noted Miguel Navarra in catalog comments to the Valencia show. Marina Picasso’s collection ranges from unfired clay pieces to ceramic works fired at high temperature to porcelain pieces decorated with paint and enamel. It includes vases, plates, dishes, bottles and jugs; wall, floor and roof tiles; even brick fragments reworked by the artist. 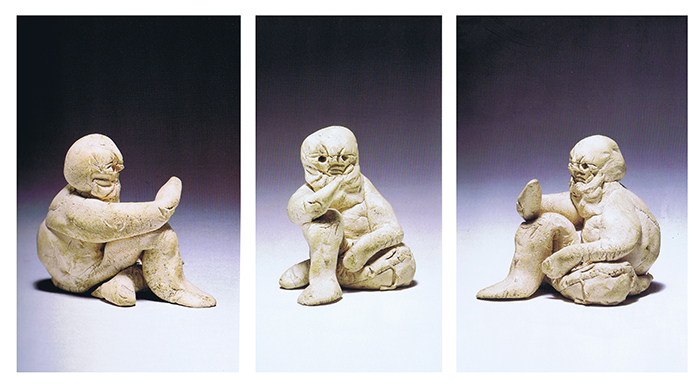 The artist was in his 60s when he began working with ceramics in 1945. He spent 25 years exploring the medium. All of the pieces in the Tacoma Art Museum show were created in Vallauris, a village in the south of France renowned for its pottery-making tradition. Art biographer Matthew Gale speculates that Picasso’s appetite for new media – he also experimented with folded sheet-metal sculpture during this period – was fueled by a sense of urgency as the artist confronted his mortality. “These works…show an intensification and distillation of Picasso’s whole personal investigation,” Gale has written. The show arrives at a celebratory time for the museum: The Tacoma Art Museum is poised to move into a new 50,000 –square-foot building next to Union Station in 2001. New Mexico architect Antoine Predock is designing the new facility. 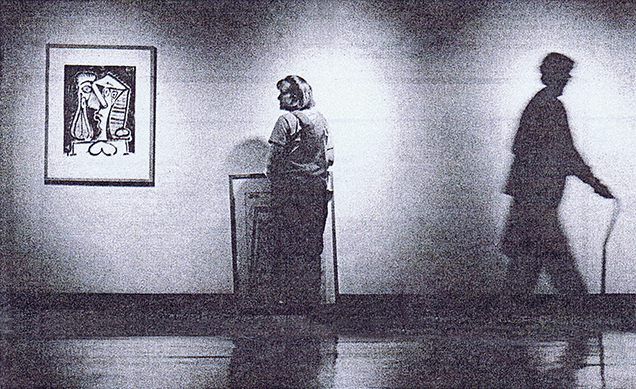 Feature Photo: Elizabeth Mauro pauses while hanging a Picasso print in the Tacoma Art Museum gallery.